Here we invite you to the Gangwon City Tour series. First city we introduce is Gangneung City. Located on the East of Taebaek mountain range facing the beautiful East Sea, stepping into this major city of Gangwon brings you into a World of past meets present with a mixture of traditional architecture and contemporary visiting spots such as Coffee Museum and Hassla Art World. 2018’s Winter Olympics will have some of the indoor games held in Gangneung as well but before that happens, check out the many activities this gorgeous city has to offer. Cherry blossom festival is a major festival held in Gyeongpo Beach area in early of April every year and been loved by visitors. 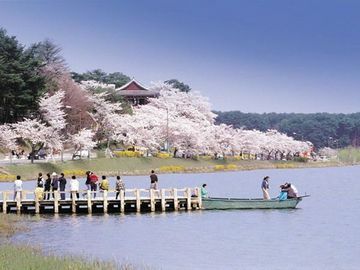 You can walk along Gyeongpo lake enjoying beautiful cherry blossom flowers. While you walk through the road, you can enjoy artworks and do activities such as hand-made soap with cherry blossom flower and visit the memorial park of talented literary sister and brother, Ms. Heo Nanseolheon (1563-1589) and Mr. Heo Kyun (1569-1618) as well. The Heo family members (Heo Yeop – Father / Heo Seong, Heo Bong and Heo Kyun – Sons / Heo Nanseolheon – Daughter) were great in literature so called as 5 Heo writers by people. 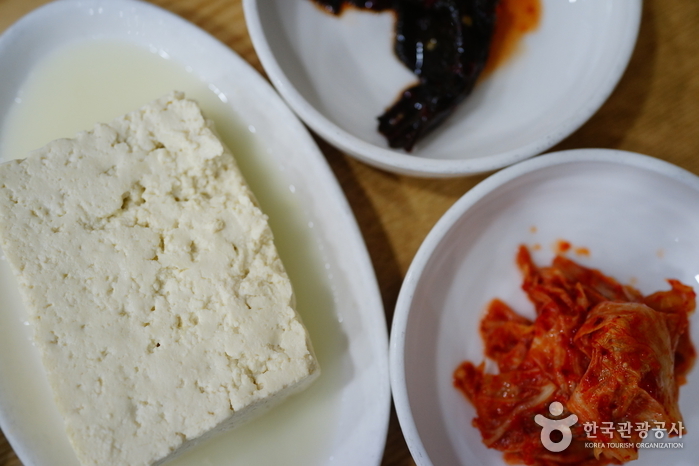 Out of topic about Chodang Tofu- It was told when Mr. Heo Yeop was a governor in Gangneung, he has made a tofu with sea water of Gangneung and people complimented on tofu’s plain and savory taste. So it was given a name as Chodang, which is Heo Yeop’s pen name. 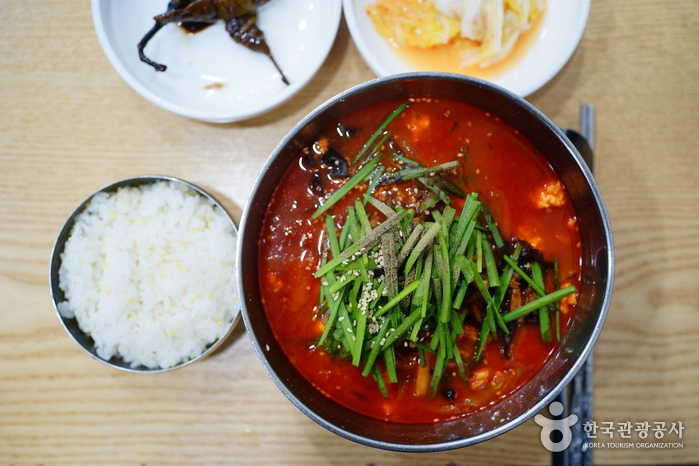 Chodang tofu is a signature item in Gangneung city and has been loved by many visitors. Ojukheon is the birthplace of Korea’s most famous scholar and politician, Lee Yulgok and his mother, Shin Saimdang. Lady Shin Saimdang was a model of good wife and wise mother. At the same time, she was the greatest female artist in Joseon dynasty so her artworks have been admired by people. Her paintings and calligraphy are displayed in the museum inside Ojukheon so you may go see if you visit Gangneung. Seongyojang is the former upper class residence of the Naebeon Lee (1703-1781) noble family of Gangneung-si, Gangwon-do Province. The meaning of “Seon”, in Seongyojang, is boat. Gyeongpo Lake was directly in front of Seongyojang at the time it was built, thus making is accessible by boat. There will be an upcoming drama titled <Saimdang, theHerstory> in the end of this year to talk about lady Shin Saimdang’s life and immortal love as well. And guess what, Lee Young Ae and Song Seung Heon will star in the drama so please standby for the new hit Korean drama this year. Below is a short teaser clip! Hassla is Gangneung’s formal name with a meaning of “Sun” and “Brightness” in old Korean. 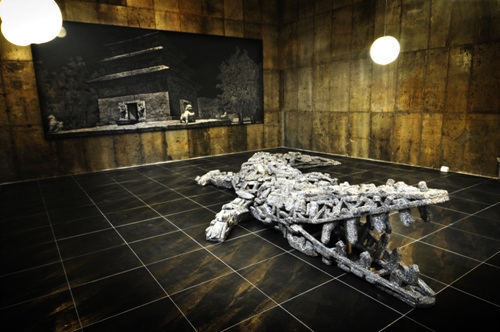 Hassla Artworld is a contemporary art museum facing the East sea so you can enjoy the beautiful artworks along with nature together. Gangneung Danoje festival was acknowledged as UNESCO World Heritage and had a function to make a harmony by letting people of all social stratum join in the festival together. Dano (端午) is 5th day of May in Lunar calendar. Ancient people in East Asia believed that May in Lunar calendar is not a good season coming with heavy rains and negative energy so got to take action to chase away the evils and it led to many ritual programs. On Dano’s day, women washed faces and hairs with water infused with calamus and men were having a root of calamus on the trouser’s belt since they believed that it casts out the evil spirits. 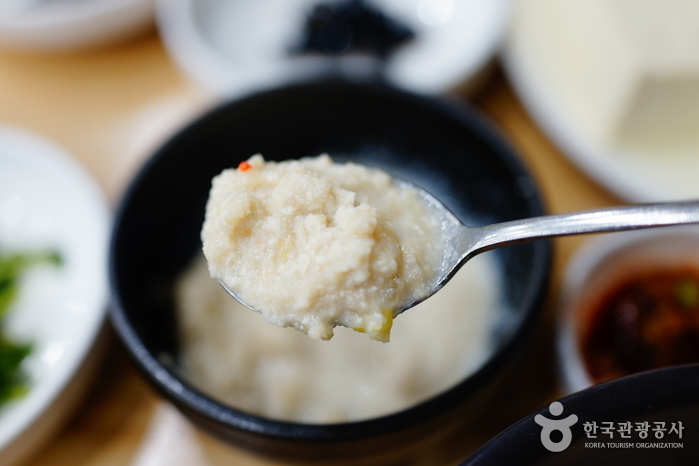 Additionally, people made rice cakes with marsh plant and enjoyed the diverse programs as swing, Ssiream (Korean traditional wrestling), mask dance etc. Gangneung people had performed the ritual ceremony for mountain spirits in Daekwallyeong which comes with sharmanic ritual below. Discriminatively, this festival has a color of Confucianism, Taoism, Sharmanism and Buddhism. Gangneung people believed that they can have a peaceful and rich life by performing the ceremony for spirits. 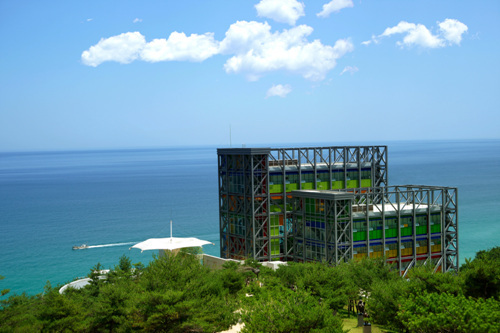 Jeongdongjin in Gangneung is in the Guinness Book of World Records as having the unique distinction of having a train station that is located the closest to the sea, in the world. It has been famous as the best spot to see the sunrise and has a rail bike running from Jeongdongjin station letting you see the beautiful ocean view all the way while on track. 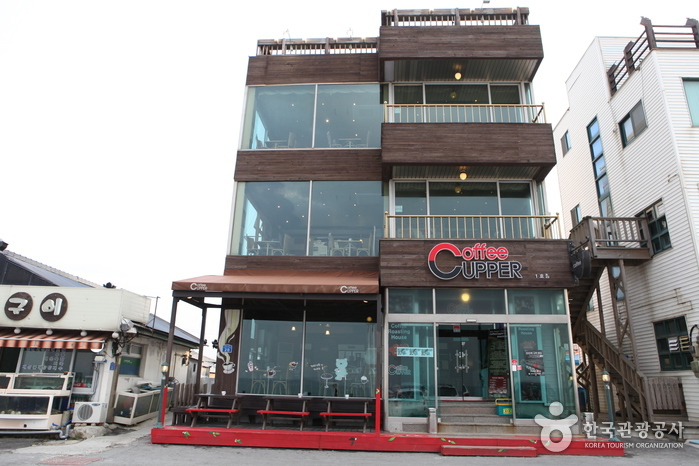 Romantic Gangneung is a city of coffee. We have a number of coffee shops in Anmok harbor street and coffee roasting museum. 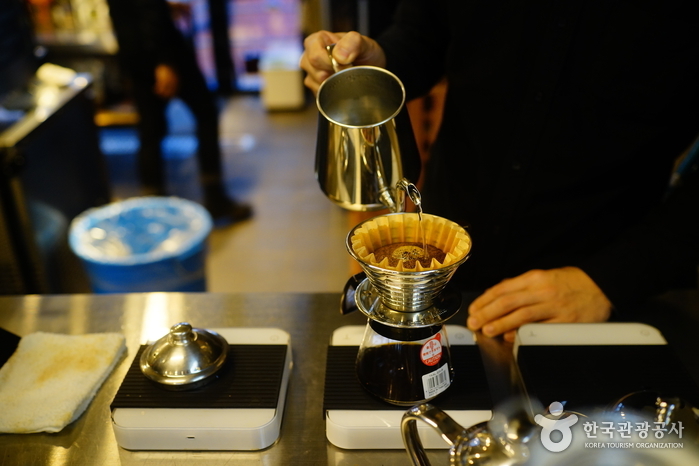 Gangneung’s coffee maniacs have a pride in their own coffee recipes and held the coffee festival every year. 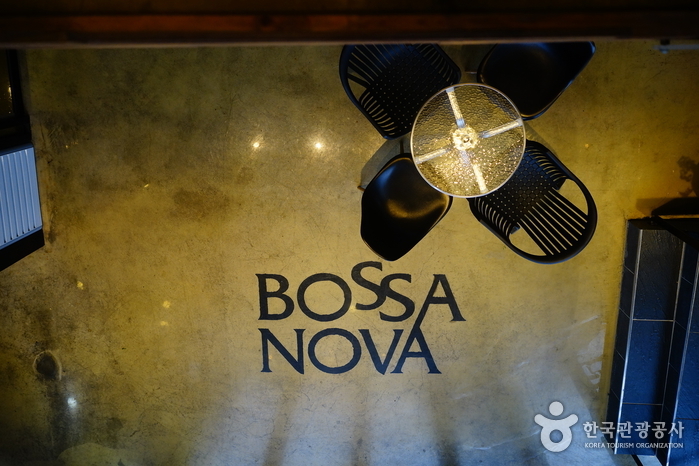 You may sip the coffee at Anmok street with the beautiful ocean view. How was the city tour in Gangneung? Any question, please feel free to leave your comment!